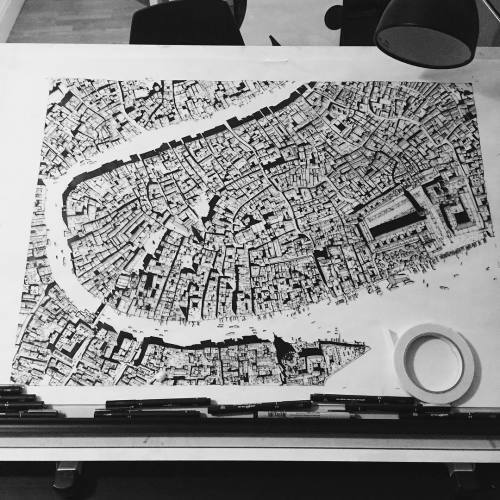 To see more of his detailed sketches of cities all over the world, follow @chrisdove on Instagram. 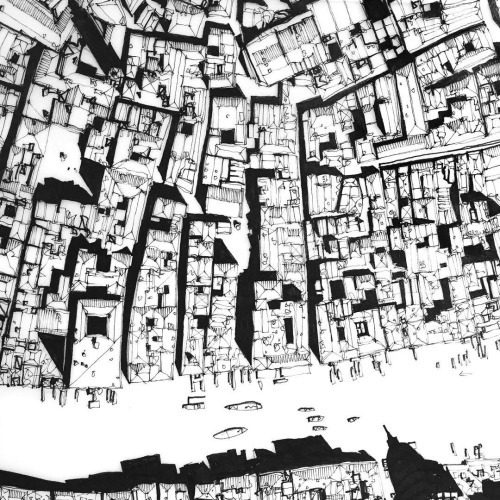 He originally planned to study fine art, but a school trip to Pompidou Center in Paris altered Chris Dove’s (@chrisdove) plans. “It completely changed my perception of what architecture could be,” he explains. 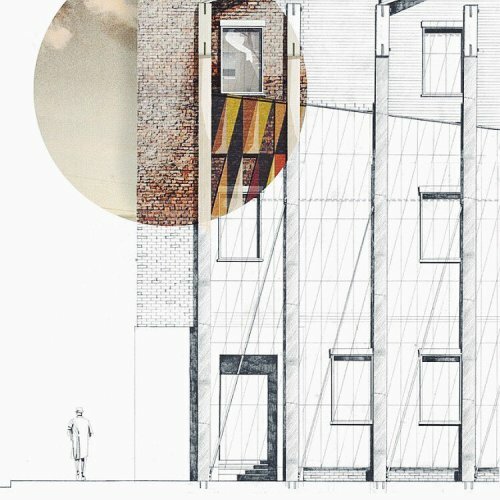 The 26-year-old graduated from the Mackintosh School of Architecture in Glasgow, Scotland, and now works as a junior architect in London. 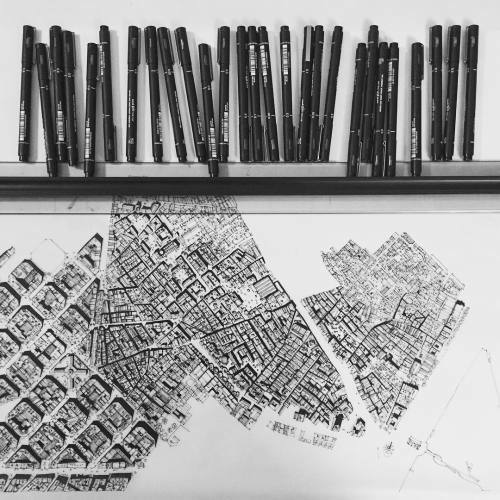 In his spare time, Chris is constantly filling a new sketchbook, often drawing intricate aerial views of cities all over the world. 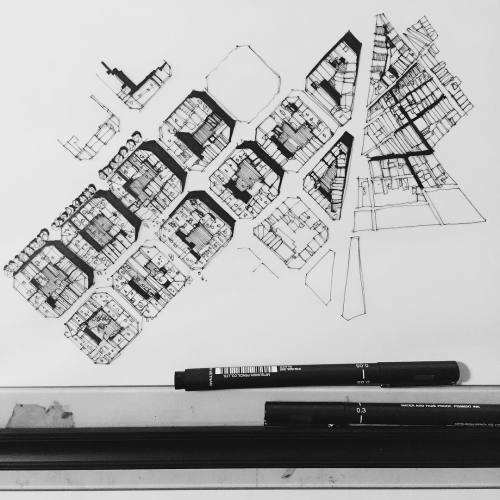 These sketches, part of a project he calls “Rooves,” are not 100 percent accurate, and that makes it all the more satisfying for Chris. “There’s a warmth and humanity,” he says. “Mistakes add to the character of the work.” He’s sold a few prints and plans to set up an online store, but right now, it’s really a labor of love.